In the unfortunate event you are in an accident, rest easy knowing we are here to walk you through the claims and repair process. For Downers Grove collision repair, there is only one choice. With over fifty years experience and a team of dedicated, detail-orientated technicians, Downers Grove Auto Rebuilders is the premier collision repair shop in the area. Our written warranty reinforces our dedication to your complete satisfaction. We know your car means a lot to you, and your satisfaction means a lot to us. Furthermore, we provide ultra-accurate quotes for the insurance company to ensure you are getting the best parts to repair your vehicle. 69% of technicians who weld in body shops do not have formal training. Proper welds can mean the difference between a safe and unsafe vehicle. Our expert welders are i-CAR certified and are the restoring vehicles to pristine condition. Rigorous training classes provide the knowledge and know-how needed to perform complete, safe and quality repairs. In addition, we are equipped with the latest tools, technology, and training to ensure the highest quality repair. As a result, the repair is done right the first time, every time. Our reputation for delivering honest and reliable collision repair services in Downers Grove is unparalleled. A dedicated team of trained technicians is ready to rebuild your vehicle as close to original condition as possible. View before and after photos click here. Email us for more information or call to schedule a free estimate today. 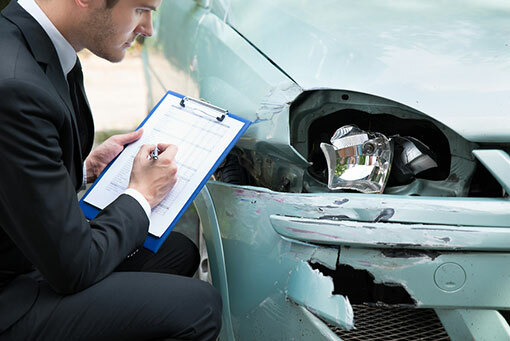 For questions about making a claim with the insurance company, click here. Above all, the right information is key to receiving fair reimbursement.